The one time she mentioned it to someone else, the mark was dismissed as a trick of the light. So Cassie has kept quiet, considering its rare appearances odd, but insignificant. Until the day she watches a man die. Mining her memories, Cassie realizes she can see a person's imminent death. Not how or where, only when, today. Most importantly, if you know today is someone's last, should you tell them? Cassie was only four years old when she first noticed The Mark, a group of children in a school playground. Unaware of the consequences, the soft glow radiating from the group of kids only meant one thing, they've been marked to die. Over her sixteen years, Cassie has seen a few cases of marked strangers, but none more so than a man she would later discover as Mister McKenzie, husband, father, and latest death that Cass had predicted. Cass lives in Ashville with her strong and determined grandmother. A virtual stranger when she too custody of Cassie after both her parents had died. Getting on in years, Nan is all Cass has, no siblings and no other family members... Until she discovers her Aunt Andrea, estranged sister of her deceased father. Cassie packs her meager possessions and life and moves to the artistic and creative town of Bering, Kansas, leaving behind her friends and unrequited crush Jack. Only planning to stay for the remainder of the summer months, Cassie is hoping to discover what The Mark is and why she's been cursed with the responsibility of sensing death, if she isn't able to save it's victims. Andrea works long hours, barely communicating with Cassie, taking no interest in the sixteen year old. Cassie has always been independent, but she's never felt so lonely. Needing to take her mind off the issue of dissecting what The Mark is, naturally the quiet, coffee drinking book worm finds a part time position in the local coffee house, where she meets Lucas. Insanely attractive, Lucas is warm, kind and offers the chance at companionship that Cassie desperately craves. Almost nineteen, Lucas is a student teacher at Lennox University, assisting in the Introduction to Philosophy course that Cassie has decided to take. It's a long shot, but with her Greek heritage, perhaps the work of Aristotle, Socrates and Pluto may provide the answers that Cass is looking for. Falling into an easy friendship with Lucas quickly turns into a dependent adult relationship. Both sharing the same interests, lively discussions and each other's company. But when Cass is forced to share her troubling secret, Lucas seems to see her as the delusional girl that Cass was afraid he would. She needs answers, why her and how does The Mark work? As she discovers an ancient Greek text that has been passed along each generation, is Cassie ready to discover who she really is and her family's legacy? 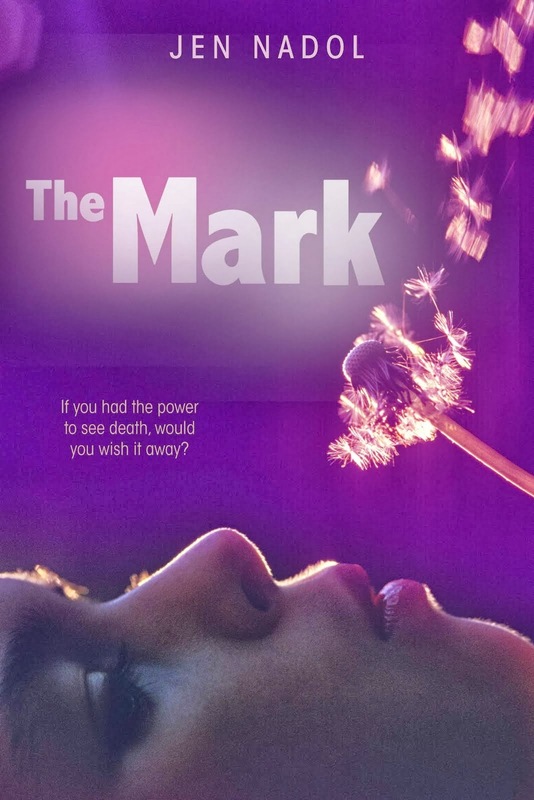 The Mark was a quick but engaging read. It weaves together a coming of age novel, with mythology and the paranormal to produce a fun, sassy read with a likable protagonist. Imagine being able to pick out a random stranger in a crowd, their only distinguishing feature is a soft glow around their being which is an indication that their time is almost up. Would you want to know if you had less than a single day left to live? Cassie struggles with the same moral dilemma each day. She runs the risk of being labelled as unstable, giving the pending victim of The Mark the knowledge that this day will be their last. It's the age old question, what would you do if you had only twenty four hours left to live? Cassie has already experienced so much in her short sixteen years of life, and while temporarily moving in with her aunt Andrea she's left to her own devices and realises how lonely she is. So when the dashing Lucas comes along, Cass sees him as her lifeline. I didn't like Lucas. His character begun as a charming intellectual bookworm and seemed perfect for Cass, but as the his storyline progresses, he becomes cold and self righteous. Being her first adult relationship, Cassie is torn between what she believes and wanting to keep Lucas happy. Jen Nadol has created a brilliant series so far, it had me hooked throughout and I found it hard to put down. A short, sweet read that engages readers. I'm looking forward to continuing on the series with The Vision. Really enjoyed it. Wow, sounds really interesting and sounds like Cassie would have a really tough time not helping everyone. Great review Kelly, I haven't heard of this one before but it sounds great. It was more so mature young adult with a touch of paranormal and the mix worked really well. It's been out for a while, but I was lucky enough to nab a hardback edition from the lovelies at Bloomsbury Australia. I think you'll enjoy this one Jeann, it's a quick read but really entertaining.